Innovation Chamber Ensemble (ICE) consists entirely of players from the CBSO. This is the first recording with a professional orchestra. With thanks to the Ernest Kay Trust, the Elgar Society and Elgar Works for their invaluable financial support in this recording. 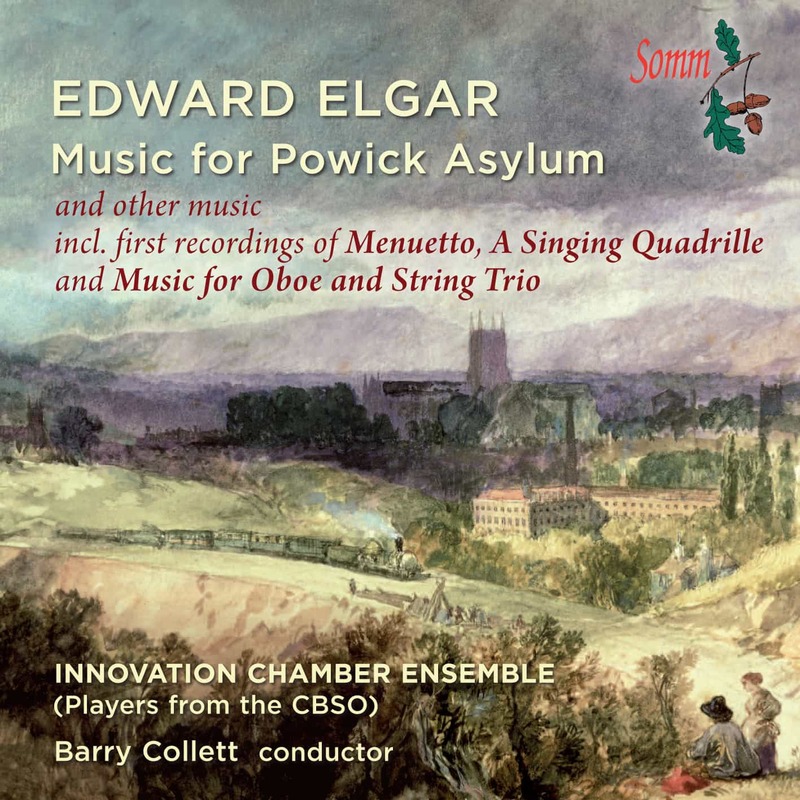 SOMM is delighted to announce a new recording of Elgar’s Powick Asylum music. 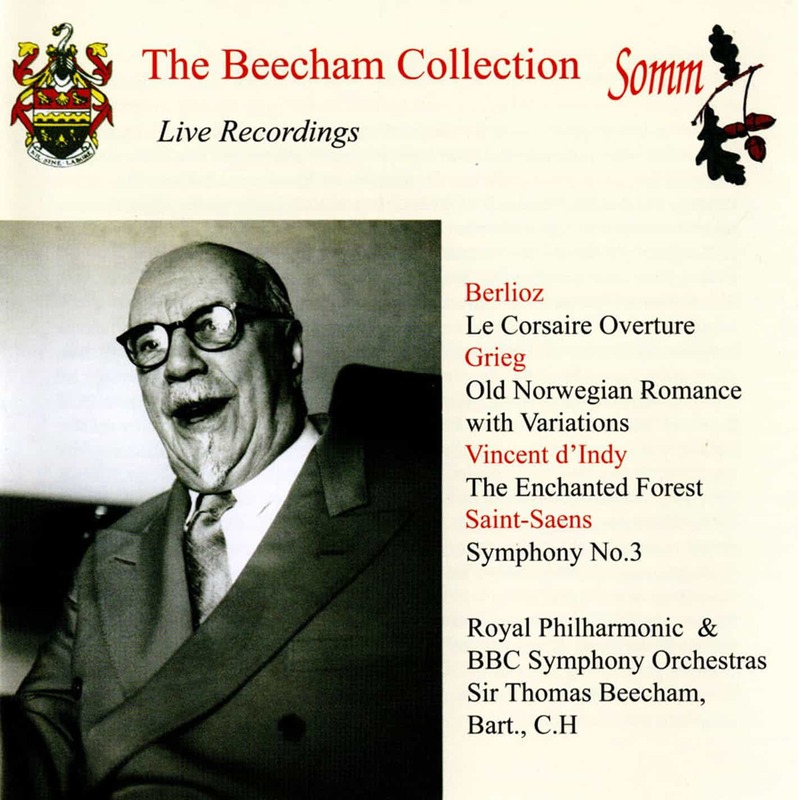 In this SOMM is greatly indebted to conductor Barry Collett whose first recording with his Rutland Sinfonia, 25 years ago, made SOMM aware of the music’s existence. Scores and parts for this recording have been taken from the Elgar Complete Edition with permission from the distributors, Elgar Works. It was in January 1879 when the 21-year-old Elgar was appointed Bandmaster at the Worcester County and City Lunatic Asylum in the nearby village of Powick. Elgar’s ensemble had its origins in a brass band, founded with instruments bought out of asylum funds. The enlightened doctors in charge of the asylum were in no doubt about the therapeutic effects of music upon the patients who enjoyed dancing. Elgar became involved in teaching the players in the band, writing dance music for the weekly Friday entertainments and conducting the band which consisted of members of the Asylum staff. These made up a rather eccentric orchestra of piccolo, flute, clarinet, two cornets, euphonium and bombardon, up to eight violins, occasional viola, cello and double bass with piano, a maximum of 19 players. The music for Powick opens with a charming, Schubertian Menuetto which Elgar originally composed for flute and string quartet. This is its first outing in the Powick orchestration. Over the six years of his Bandmastership Elgar composed four sets of Quadrilles, a set of Lancers and five polkas. 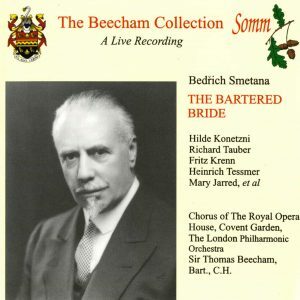 A delightful addition to this CD is the first recording of A Singing Quadrille where Elgar mainly uses well-known nursery rhymes. The work remains only in sketch score and SOMM is grateful to Andrew Lyle who edited this as well as all the music for Powick, for the Elgar Complete Edition. Three other short works included here are the Fugue in D minor for oboe and violin, written for his oboe-playing brother Frank and Karl Bammert (a violinist who lodged at the Elgar Music Shop). Duett, another miniature fugue, was a wedding present for a friend who played the double bass and Elgar himself most probably played the trombone part. The well crafted and remarkably accomplished Andante & Allegro for Oboe & String Trio is another first recording composed when Elgar was still in his teens. The disc concludes with the last of the pieces in the Powick music, the wistful, poignant polka Blumine, written in May 1884, one month after Elgar’s engagement to Helen Weaver had been broken off. After Elgar left Powick, in 1884, his music for the Asylum was ignored and then forgotten. We are all indebted to Barry Collett who, for many years, championed the revival of this repertoire. Despite some resistance by those who thought this music unworthy of a great composer, Collett seized every opportunity to perform the Powick music and his gentle but persistent efforts revived this forgotten repertoire by a young composer of genius. Barry Collett was Director of Music at Rutland College until his retirement, and since then he has pursued an increasingly busy lecturing schedule, especially for the Elgar Society, the W.I. and the W.E.A. In 1975 he founded the Rutland Sinfonia, and conducted all its concerts for the first twenty six seasons, in a wide range of works from Purcell to premieres of new music. Under his baton the orchestra worked with top professional soloists and played at many prestigious events and festivals. In his twenty six years as musical director he conducted, as well as opera, oratorios, cantatas and a wide symphonic repertoire, all of Elgar’s orchestral music, a feat recognized by the Elgar Society with the award of honorary life membership. He has made 11 recordings both as conductor and pianist, and in particular his premiere recordings of Elgar’s lesser-known pieces have been widely acclaimed. His book “Elgar Country” was published in 1981 and since reprinted. 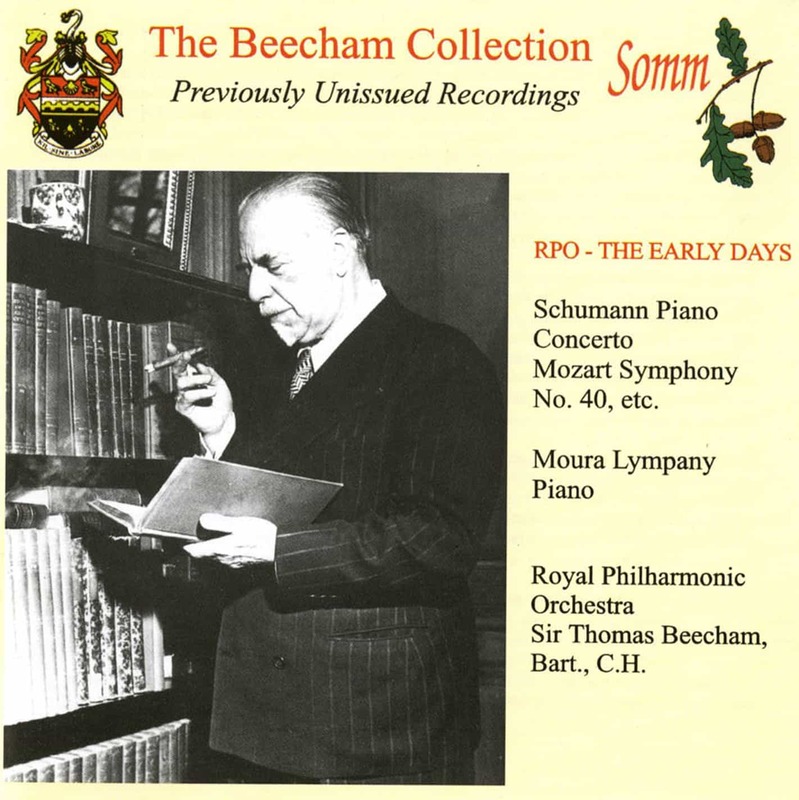 He has also edited volumes of Elgar’s songs and violin and piano pieces for publication, and written many articles for the Elgar Society Journal. He has recently received the Elgar Medal, the Elgar Society’s highest award, for his pioneering work in researching and performing the composer’s lesser-known works. The Innovation Chamber Ensemble was formed in 2002 by Richard Jenkinson and other principal string players of the City of Birmingham Symphony Orchestra to make a unique ensemble who strive for performances of the highest calibre. Due to its versatility I.C.E. is able to perform in venues that would be impossible for the ensemble’s bigger cousin. The group’s repertoire is diverse including Baroque works by Bach, Vivaldi and Wassenaer (including a recording for SOMM), standards of the repertoire by Dvořák, Tchaikovsky, also including Twentieth Century works by Bartók, Britten, Stravinsky, Schoenberg, and Richard Strauss. I.C.E. is also firmly committed to the works of living composers and the first recording featured works by Canadian composer Robert Farnon and a new ‘cello Concerto by Paul da Vinci. I.C.E. have also commissioned new works by Colin Twigg (Echoes of Eternity for cello & strings) and Ivor McGregor’s Septet. I.C.E is committed to giving new works multiple performances; Echoes of Eternity has been performed in Birmingham, Suffolk and at the 2007 Deal Festival. Since 2005 the group has expanded its activities to include wind and brass players from the CBSO making a special feature of the chamber arrangements of big symphonic works. Performances have included Mahler 4th Symphony in Birmingham, Shrewsbury and Buxton, Deal, Fishguard, Newbury and Petworth Festivals. Bruckner 7th Symphony in Birmingham, Dealand Petworth Festivals and Mahler Das Lied von der Erde in Canterbury Cathedral. New arrangements by Richard Jenkinson have been made for the group of works by Wagner (Wesendonck Lieder and Siegfried Idyll) and Mussorgsky’s Pictures at an Exhibition which have been performed at various festivals across the country. The Innovation Chamber Ensemble has made several recent recordings for SOMM. These include Six Concerti Armonici by Count Unico Willem van Wassenaer and the Powick Asylum Music by Sir Edward Elgar. 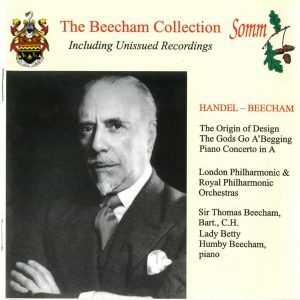 A series of British piano concertos (also for SOMM) with the pianist Mark Bebbington is also planned for 2014. Dances for Worcester City and County Pauper Lunatic Asylum, Powick: Quadrille No. 4: La! Suzanne!